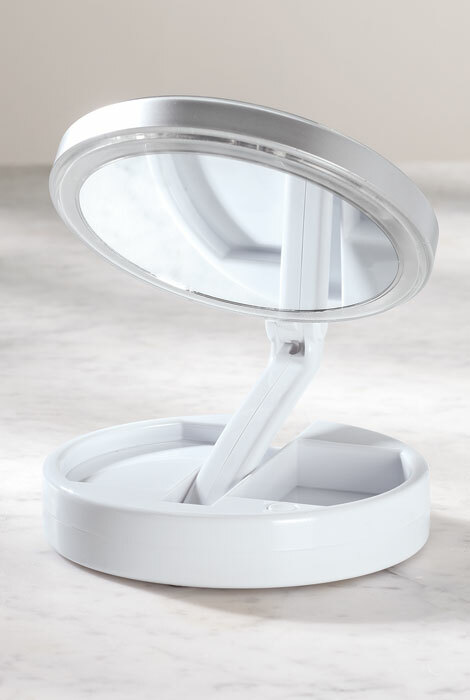 12X/1X Lighted Folding Mirror helps you examine even the tiniest details. 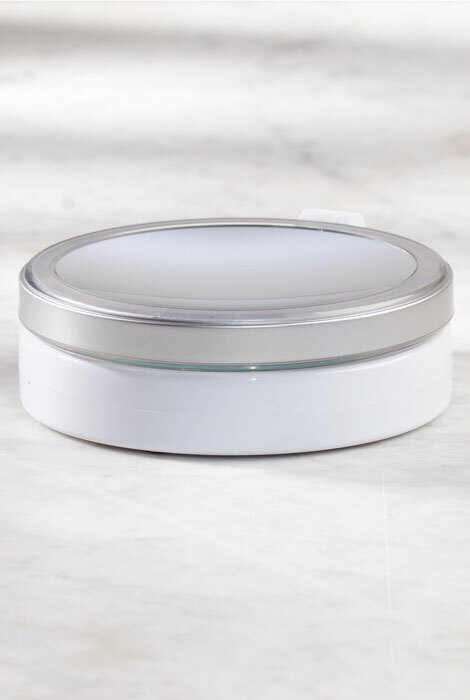 One side has a normal mirror and the other is a powerful 12x magnifying mirror. A built-in 360-degree LED light helps you see your face from every angle, even in low-light conditions. Economical LED bulbs never need replacing. Molded storage compartments on the folding base hold tools, applicators and other frequently used items. Needed new mirror and wanted a travel one! 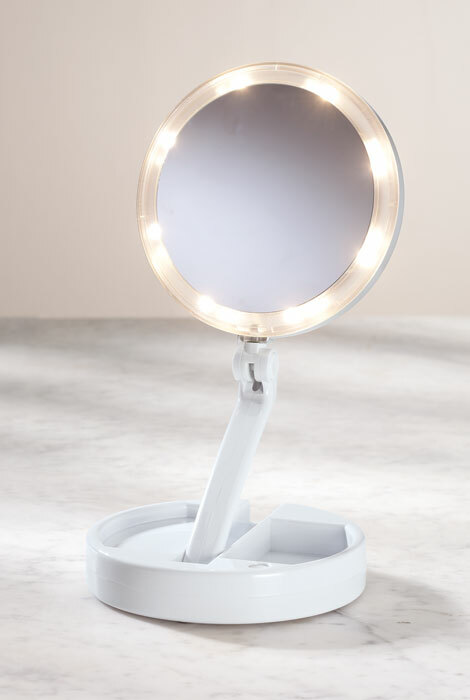 It has LED lights and both normal and magnified mirrors.